How will Be the Future in Software Defined, Cloud and IoT? The Customize Windows > Computer and Internet > Cloud Computing > How will Be the Future in Software Defined, Cloud and IoT? A whole new future is arriving via cloud computing, Software Defined, Internet of Things and a new conception of the Internet and the Web can change the world on the way we know it today. Cloud is lesser than 10 years old, but already progressed the web forwards. Within a timespan lesser than a decade has produced technologies, products and methods of communication which are very interesting, which have attracted the interest of the majority of IT specialists and have also involved people outside the world of technology. And all this is a revolution within the revolution. Internet has just 44 years old. Within just a few years we have had access to Google, Bing, Yahoo! and many other methods of finding information, interactive encyclopedias that have supplemented the paper which libraries were filled with, at home the shelves are becoming full of dust, while occupied by less and less bulky computers connected to the Internet. The way of the changes to the Web is undoubtably via the cloud: from the phone on desks in the homes of the lucky fews, it has gone to all in the phone booths, the diffusion of fixed line in the home is now in the pockets and today a home – a bag or two phones per head may be found. And no longer communication means using voice and text messages, we use the photos and status updates to Facebook and Twitter, Instagram and Pinterest images, video communications and text messages to Skype and Whatsapp. Even the press has changed : WordPress, Tumblr and many other methods of creation and dissemination of blogs have given voice to a group of journalists and writers who would never have had a followers counted by thousands to millions, which was the exclusivity of the printed newspaper, thus making the information more democratic, available to everyone and easier to manufacture. And all this, including the advent of the cloud, it was unthinkable just 100 years ago when IBM gave birth to the informational age with the punch cards made of cardboard with holes on them. Making a prediction is a daunting task, but there are already a number of factors that make understanding how the changes will be, that we will be experiencing in the coming years. Perhaps the World Wide Web or the Internet, will never be the same : the cloud will take its place separately and we will need to identify the new technology with a name different from the one we use now. The new networks will be closer to Nebula or Skynet or in any other way that will remind us of how resources are no longer resident on simple computer, but are shared and spread over different resources connected to each other in a flexible infrastructure. How will access to the new Internet? The right question would be how are we going to hide from the new Network Today we are voluntarily connected to the Web on the move via smartphones and tablets and we have already had some legal difficulties related to the violation of privacy as in the case of NSA, but tomorrow we will be literally immersed in a permanent connection and if we follow the Moore’s Law, in less than 100 years, the devices will be about 50 times smaller than the current size. Total control? Nanotechnology with the help of a permanent cloud connection will be able to check the weather conditions, determining when we will have rainy weather events, and change as needed. In this way we can rid the world of drought and transform areas inhospitable to human life in lush areas. Perhaps there also will also changes in the way of understanding the antibiotics. Instead of receiving an injection of 50 ml of penicillin, we will receive an injection of 50 ml of microscopic robots with integrated intelligence and controlled via the cloud, which will be able to reach the site of infection and directly and attack the bacterias to prevent their survival. At the end of the operation intravenous injection, we will receive a notification on iPhone 97 S – the flu bug has been fixed and you will be asked to press OK to submit a full report! Maybe it is just utopias and imagination, but it is sure that all the technologies to achieve as described above already exist and just begging to be developed, with the help of a mode of spread of the IT infrastructure that only the cloud can meet. This Article Has Been Shared 983 Times! Articles Related to How will Be the Future in Software Defined, Cloud and IoT? Free Cloud Backup Storage Space of 512GB is offered by BeeCloud along with another unlimited Cloud Storage offer by BeeCloud. Let us see what is the catch. Title: How will Be the Future in Software Defined, Cloud and IoT? 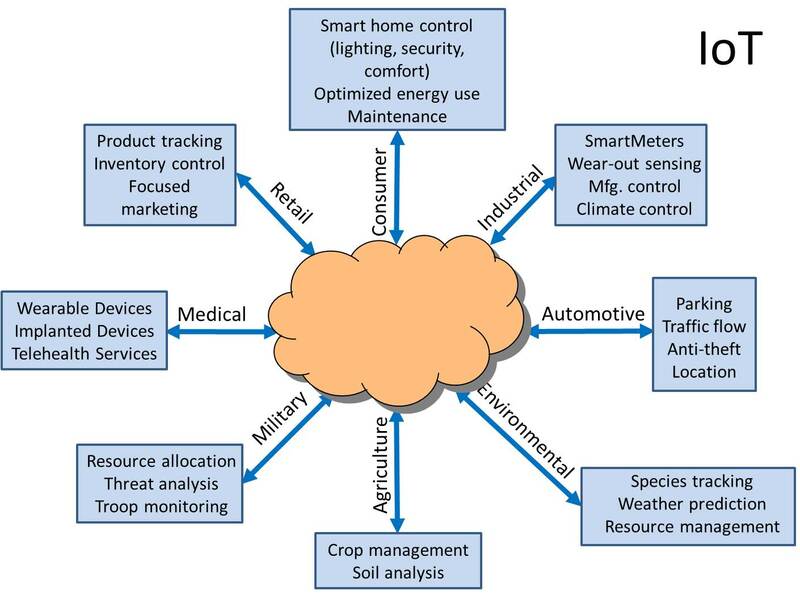 Cite this article as: Abhishek Ghosh, "How will Be the Future in Software Defined, Cloud and IoT?," in The Customize Windows, July 17, 2014, April 23, 2019, https://thecustomizewindows.com/2014/07/will-future-software-defined-cloud-iot/.